My name is Christina Love. I am Alutiiq/Sugpiaq (Aleut) and a trauma survivor who has experienced co-occurring mental and substance use disorders. I currently work as a specialist on intersectionality for Alaska Network on Domestic Violence and Sexual Assault, where my history informs my expertise in trauma and substance use. Few things bring me more joy than working to help people who are held by the chains that once kept me captive. My family is from Egegik, located in the Bristol Bay region of Alaska. I grew up in Chitina, located on the Copper River in the interior of Alaska. Both villages are small and remote. Though they have different cultures and languages, they both offer a way of life that my ancestors have stewarded for thousands of years. The land is who we are. It is part of us. 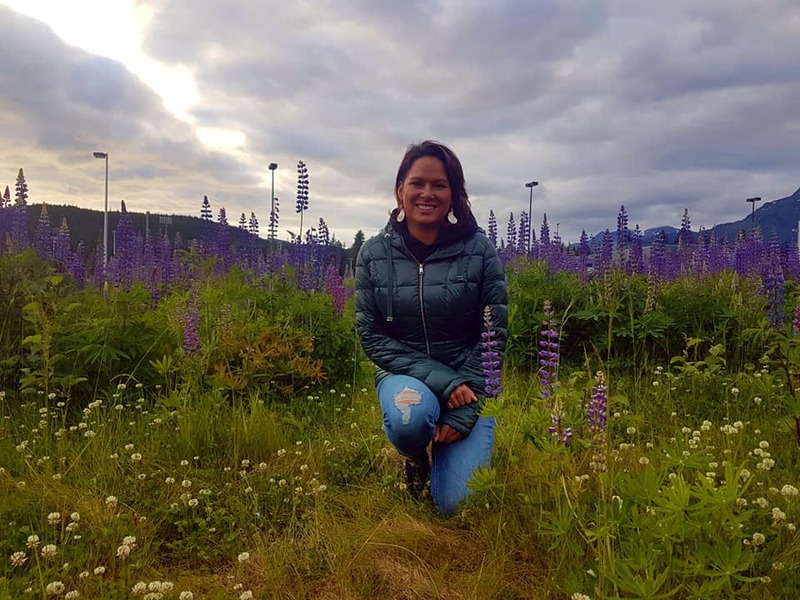 If you consider how tough the land is here and the extreme seasons that the earth goes through, then you can begin to understand how resilient Alaska’s indigenous people are. The story of Alaska and its indigenous people is a story of people rising up against all odds. We have survived violent colonization, assimilation, and oppression. Our history bears the twin marks of intergenerational trauma and the struggle and resilience to overcome. We are still challenged to overcome great odds today. My mother’s family have all passed away from alcohol use, suicide, and alcohol-related deaths. This is all too common for oppressed people. There was a time in my life when I took the worst of what the world said about Alaska Native people and believed it about myself. These societal messages made me think I was lazy, stupid, a “drunk”—a second-rate citizen. I now know this is what is called internalized oppression—a cultural legacy perpetuating past violence against my people, no less harmful for being less physical. For thousands of years our families and communities wielded tools that helped us cope, tools that helped us communicate, tools that helped us raise children and build communities. If you wipe out families, generations, culture, languages, and communities, these tools don’t just magically reappear. I do not believe there is such a thing as bad coping—there are only better ways to cope. The point is to survive, and that is what I and my people have done. Substance use and suicidal ideation were my way of coping with the trauma I had survived. But as happens so often, the behaviors that helped me cope also led me into the criminal justice system. Like many people who have survived trauma and have co-occurring disorders of mental illness and/or substance use, I found myself caught in our criminal system. American prisons are full of people like me. The vast majority of the population surrounding me appeared to have a mental illness, and almost all of us had survived severe trauma. Upon being released from serving time for drug-related crimes, I found it imperative to look into the disparities I had witnessed and experienced firsthand. Marginalized groups are disproportionately affected by poverty, homelessness, and incarceration – not because we commit more crimes or have greater rates of pathology, but because we often are barred access to the same resources enjoyed by members of the dominant culture. Contact with the criminal justice system can compound these disparities; my record of drug-related felonies put housing and support programs out of my reach. As a survivor of sexual assault, domestic violence, and suicide, I found great liberation and freedom in normalizing parts of myself though education. I learned that it can be normal for a trauma survivor to struggle with retaining information, reading, expressing or regulating emotions, or learning—you can be brilliant and not remember the paragraph you just read. Learning this, learning about history, and, most importantly, accepting who I am allowed me to heal from my trauma. Now I can very proudly say I am in long-term recovery from IV heroin use and other mind-altering substances. It was so important for me that in early recovery I was accepted and surrounded by people who understood the importance of historical trauma and generational trauma. I was given information that helped me reconnect with my land, grow back into my community, and relearn our traditional ways. Most importantly, I was able to close the door on generational lines of abuse to make a better way for the next generation to come. Epigenetics is a new field whose findings offer more opportunities for education, liberation, and normalization. Indigenous people call epigenetics blood memory. We believe that each person is the culmination of every experience all of our ancestors have ever had, and epigenetics shows how true this can be. Every moment, every memory, every scar, and most importantly every joy, gift, and strength is carried and passed on. When I heal myself I heal my ancestors. When I heal myself I heal generations to come. That’s empowerment on a cosmic level. I like to call it fourth dimension prevention. I am what my ancestors have prayed for. Wow , what a powerful message, not only for Indigenous Peoples but for anyone seeking recovery from the oppression of addiction. I redeveloped my spirituality, love for others and compassion through helping others and connecting with the natural world around me. Knowledge, coupled with lived experiences are powerful tools which can lead us to find who we really are and help others find their way out of the repression and trauma that we all experience to some degree. You go, woman of power, and continue to share your beauty with others.